Our country has a very bad habit: A dependency on fossil fuels. For years now, the dangers of fossil fuels (coal, oil, and natural gas) have been piling up. One of our largest concerns lies in the finiteness of these resources. Currently, the United States consumes 20.5 million barrels of fossil fuels a day, making up almost 25 percent of the global usage. If we continue at this rate, scientists argue that our resources will soon run dry, leaving us without energy. The massive consumption of fossil fuels has also intensified our environmental concerns. As most know, the burning of fossil fuels releases CO2 into the air, which traps the sun’s rays, heating up the earth. Although CO2 is a natural part of our atmosphere, the increasing amounts of this greenhouse gas have raised the temperatures to new highs, resulting in droughts, rising sea levels, and strange weather patterns. As a result, global warming is one of the biggest environmental issues that we are facing today. Due to all of the issues with fossil fuels, many countries are looking for new solutions. But, this does not come easily. In order for a coal-based nation to switch over to greener solutions, it needs money, effort, and time. China represents one of the nations paving the way for such advancements. In 2011, the nation invested nearly $51 billion in alternative energy technologies. As a result, they currently have the highest renewable power capacity at 70 gigawatts in total. The United States is close behind in its investments, having spent $48 billion with a total generation of 68 gigawatts. Despite these enormous investments, changes still need to be made. Cutler Cleveland, director of the Center for Energy & Environmental Studies at Boston University has explained that, based on his research, no country will completely change its dependency to renewable resources in the next 50 years. He argues that “we will have to engineer the transition,” a step that seems nearly impossible. According to Cleveland, stopping these bad habits will require two major steps. The first is to force the transition by means of economics. He argues that by changing the price of carbon through federal legislation, the increased payments will divert the people from fossil fuels to the better solutions. This argument then leads into his second step, where Cleveland calls for a more educated conversation between the government and its people. He argues that in order for a change to be made, the people need to know what impacts their decisions are making on the environment. Increasing awareness will create a greater demand for efficiency, and a decreasing reliance on such harmful fuels. 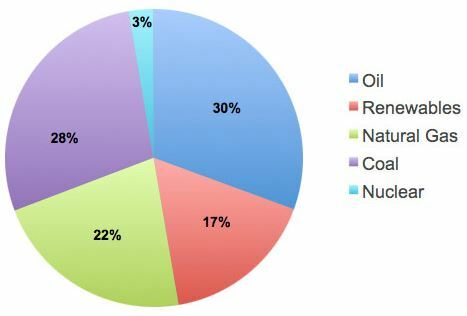 In the end, the U.S. needs to shift away from coal and oil to natural gas, renewable energy and nuclear. Although complete changes are not ccurring immediately, the efforts to stop these bad habits are being made. As time goes on, we are quickly developing more and more efficient technology that is cheaper, more effective, and can be manufactured much more quickly. Slowly but surely, changes towards better solutions will allow us to kick this bad habit. This entry was posted in Environmental Concerns and tagged Bad Habits, Fossil Fuels, Renewable Energy on October 10, 2013 by BioHitech America. Water plays a larger role in society more than the average citizen knows. Our precious H2O is not just a source of hydration for our bodies or a means of getting clean it is used to create energy. Energy and water are woven into our daily lives and strongly linked to one another. Producing energy uses water, and providing freshwater uses energy. Both these processes face growing limits and problems. To keep the power on in the US each day requires the withdrawal of 143 billion gallons of freshwater each day. Half of our country’s 104 nuclear power reactors withdraw 25-60 gallons of water for each kilowatt-hour of electricity it generates. Coal plants withdraw 20-50 gallons per kilowatt-hour, not considering the water needed to mine coal or store coal waste from these plants. So, for either a nuclear or coal plant to generate electricity for one load of hot-water laundry 3 to 10 times more water must be used at the plant than is used to wash the clothes. We also rely on water to move around. Water is a major component of the chemical fuels that help our cars run and heat our homes. In fact, 13 gallons of water are used to produce just one gallon of gasoline. The United States alone pumps approximately 367 million gallons of gasoline a day. The growing demands for electricity and gasoline require us to have on hand a never-ending supply of water. Unfortunately the water’s future looks dim. Our water is simply running out. The increased demand for supply, sudden changes in climate, severe droughts, extreme heat, and dangerously low river levels are quickly becoming threats to our water’s survival. Water withdrawal by power plants can become a major challenge during times of drought or other water stress, when water is simply not available in the required volumes or at the required temperatures power plants have to either temporarily reduce their power output or shut down entirely. With the loss of just one foot of water in Lake Mead on the Colorado River, the Hoover Dam loses 5 to 6 megawatts of generating capacity. That seemingly small number actually has the potential to supply about 5,000 homes with electricity. In drought-plagued New Mexico, water is gold. In May of this year, Mora County NM took a firm stand to protect its precious liquid: it banned all oil and gas extraction from county lands. Of concern in Mora, and increasingly throughout the country, is the potential harm to water sources from oil and gas drilling, as a result of the practice known as fracking. Mora County’s decision – to keep more climate-altering fossil fuels in the ground so as to preserve and safeguard local water supplies for its people – draws a precautionary line in the sand. Climate changes, extreme heat and extended droughts are already testing the resilience of energy and our water systems. By 2030 researchers believe that the net effect nationally will be a more variable and unreliable water situation and that electric demands will grow nearly 30 percent in the Western United Sates and 10 percent in the Southeast, a trend that begs the question: With what water? The U.S. Department of Energy (DOE) has hopeful opinions on the subject, asking for the US to move on to renewable energy sources. They state that if, by 2050, the US is able to get 80 percent of its electricity from these sources, our water consumption would be cut in half. A decrease by 50 percent would mean less water usage, more energy, and more water reserves. 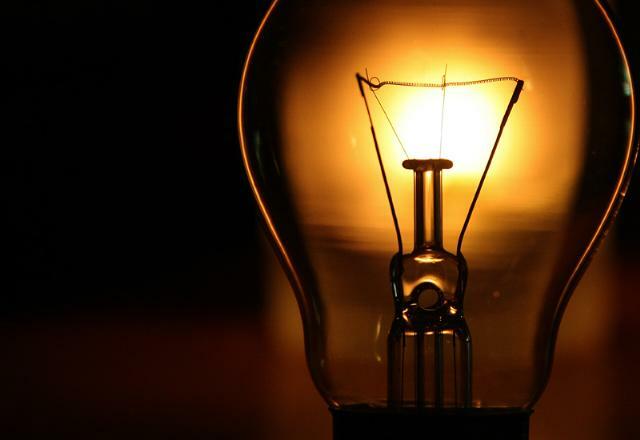 Ultimately, a switch to renewable energy means keeping us out of the darkness. 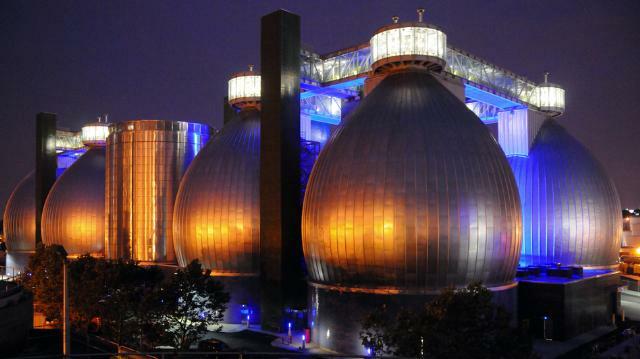 Technologies like the Eco-Safe Digester are also offering a promising solution, to convert food waste into an effluent that our wastewater treatment facilities extract as biogas to be stored and used to make renewable clean energy. As one can see, without adequate supplies of water, no region’s future is bright. This entry was posted in Technology and the Environment and tagged Eco-Safe Digester, Renewable Energy, Water Withdrawals on August 12, 2013 by BioHitech America.